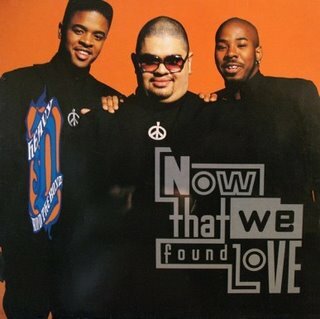 D, Heavy — Always-clever and pretty much universally-loved 90’s rapper Heavy D died Tuesday in a Los Angeles hospital after collapsing in front of his condominium building. Born Dwight Arrington Myers, D was a stalwart of an earlier era of rap, known for brightening up any hip-hop album with a few stanzas of guest artistry and remembered alternately for both finding love and not knowing what to do with it. Our thoughts go out to his family. Grace, Nancy — Tuesday’s episode of reality dance competition Dancing with the Stars saw the departure of Headline News talking head Nancy Grace, whose performance with partner Tristan MacManus failed to grab the voters’ attention and led to the pundit’s exit from the show. Grace has avowed, at all costs, to find the people responsible for her ousting and will not rest until the appropriate parties have been punished. Murphy, Eddie — In the wake of director Brett Ratner’s resignation from directing the upcoming Oscar telecast after catching fire for using a gay slur on a panel discussion, actor Eddie Murphy has also announced that he will be dropping out as the awards show’s host. What that means for you is that between Murphy dropping the Oscars and the current cinema offering Tower Heist, it is all but assured that we will all continue to not see Eddie Murphy anywhere. Wal-Mart — Alice Walton, the billionaire heiress and 62 year-old daughter of Wal-Mart founder Sam Walton, has announced the opening this week of a 217,000 square foot art museum in rural Bentonville, Arkansas. The Crystal Bridges Museum of American art is expected to be one of the largest collections of art in Arkansas and the surrounding areas, with examples of abstract Expressionism, pop art, minimalism and New American realism will be reflected in the over 400 museum pieces. The announcement came as a huge disappointment to the citizens of Bentonville, who were keeping their fingers crossed that the land would be used for a new potato chip factory.